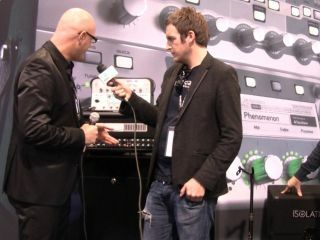 NAMM 2011: Before the show, the Kemper Profiling Amplifier was easily one of the most hotly anticipated products set for launch in Anaheim, with its designer claiming that it was capable of taking the "sonic fingerprint" of virtually any amplifier. So naturally we went along to the Kemper stand to hear it in action. With all the noise of the show floor, it was difficult to subject the product's performance to any kind of detailed scrutiny, but watch the video, have a listen, and let us know what your first impressions are.